After all that yogurt straining, I ended up with quite a bit of whey. 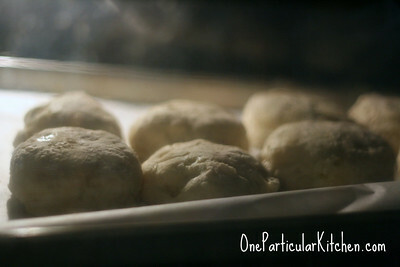 Time to make biscuits! I do these in the food processor — they’re ridiculously fast that way. 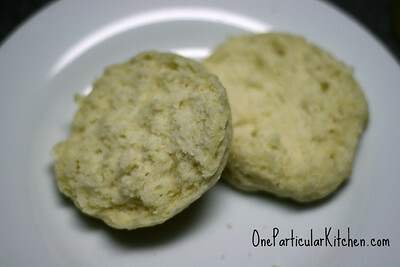 Toss in the flour, salt, baking powder, powdered milk and yeast and pulse a couple times. Cut in the shortening and butter and pulse about 8 times. Pour in the whey and let it sit a minute to soak in, then pulse till mostly blended — maybe 5-8 times? Bake at 400 degrees F for about ten minutes. See them poofing up? The Kiddo loves these with Sunbutter on them for lunch; I love ’em with butter and honey. Fluffy tasty goodness! 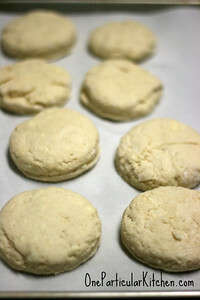 Do you proof these before baking since they have yeast in them?